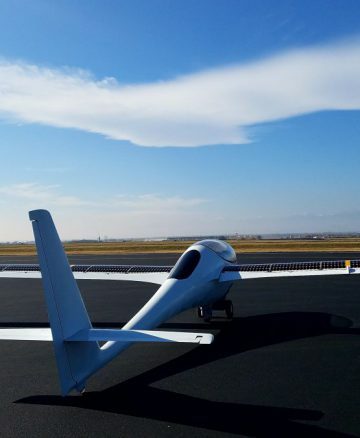 Established in February 2014, the eFlyer program was created by Bye Aerospace to produce the two seat “eFlyer”, and for it to be fully certified under the new FAR 23, and bring it to market. We intend to serve general aviation by providing a clean, renewable energy, electric training aircraft. As of December 2018 we have 220 deposits, split evenly between the eFlyer 2 and eFlyer 4. Check out the video of the eFlyer 2 prototype in flight below. This two-seat aircraft will change the way pilots train. The cost-efficient aircraft will enable new pilots to train without prohibitive fuel costs. Starting in 2019, the eFlyer 2 is priced at $349,000 and requires a $5,000 deposit. 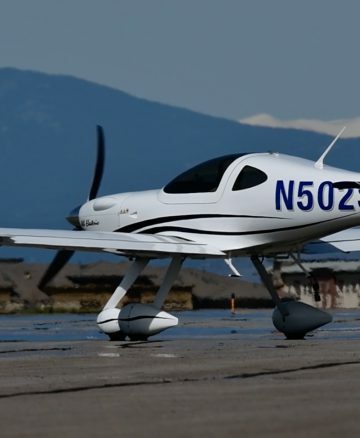 The 4-seat eFlyer 4 is priced at $449,000 and requires a $10,000 deposit. Demand for new airline pilots has increased dramatically. According to Boeing (2018), an estimated 790,000 new commercial and airline pilots are needed, (up from 637,000 estimated in 2017) over the next 20 years. This is over a 5-fold increase of the 150,000 airline pilots flying today and a timely market entry for the high-tech eFlyer trainer. To meet this pilot training demand, it is estimated that 66,000 training aircraft are needed over this 20-year time period. In addition, we estimate 9,000 of the existing fleet of 15,000 flight trainers will be replaced due to cost and age-related issues leaving a net of 60,000 new training aircraft to meet the Boeing estimated global demand of new pilots. Of this total, the eFlyer target market is 20,000 units ($7.2B potential market) over 20 years. The existing 230,000-unit General Aviation fleet is ripe for replacement. The majority of these aircraft were manufactured between 1960 and 1983 when production averaged over 10,000 units per year. Sales slumped in the early 1980’s due to rising fuel cost and high interest rates. According to the FAA and GAMA, there were 10,800 two-seat trainers in use, with an average 48-years old over 10 years ago in 2008. These old aircraft are difficult and costly to maintain, burn expensive leaded avgas producing CO2, and are nearing obsolescence. The Solar-Electric UAV is a highly cost effective and efficient aircraft platform with reasonable payload and extreme endurance focused on medium and high altitude missions. The proof of concept 15-meter wing span aircraft has completed two short sets of flight tests. Commercial aerospace and defense customer discussions are taking place. Similar to our other advanced aircraft programs, StratoAirNet utilizes light-weight composite structure, clean aerodynamics, and solar electric propulsion systems. 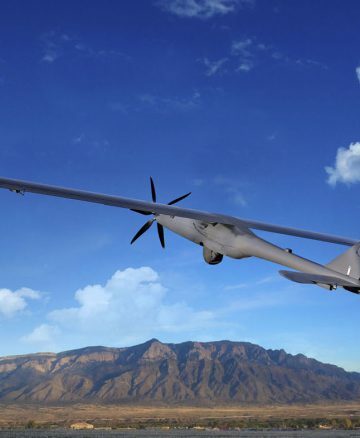 The StratoAirNet proof-of-concept aircraft is pilot-optional allowing for immediate payload integration while the flight test program matures. Bye Aerospace provides design, research and engineering support for the Silent Falcon UAV being developed by Silent Falcon UAS Technologies. The Silent Falcon is a solar electric UAV utilizing stored electric power, thin film solar photovoltaic (PV), high efficiency 6 blade propulsion system and other technologies to enhance its very long endurance, quiet operations and zero emissions. An efficient electric motor provides the Silent Falcon with appropriate climb rates and efficient cruise which facilitates access to areas requiring surveillance. The easily transportable Silent Falcon system is very quiet with low thermal signature to reduce detection. The Silent Falcon carries a proprietary sensor gimbal, ``Falcon Vision,`` with electro-optical and infrared camera on a lightweight mechanically and digitally stabilized gimbaled payload allowing the operator to keep eyes on target. With very long endurance the Silent Falcon provides multi-fold the value and capability of competitive systems. Silent Falcon began initial customer deliveries in 2015. The combination of remarkable persistence, payload and reduced acquisition and operating cost over similar-sized systems gives the Silent Falcon a significant advantage over competitors. Potential applications include homeland security, and military visual and thermal tactical reconnaissance. Potential civil applications include high security facility surveillance, pipeline and power line inspection, aerial law enforcement, forest fire detection, weather monitoring and aerial photography (see www.SilentFalconUAS.com or for system purchase inquires info@silentfalconUAS.com).